Margaret Nimmo Holland is the Executive Director of Voices for Virginia’s Children. Margaret has worked at the organization for more than 15 years, previously serving as policy director. She led the Campaign for Children’s Mental Health, a broad-based advocacy initiative that is increasing access to children’s mental health services in the commonwealth, and is frequently quoted in the media statewide as an expert on children’s policy issues. In addition to her experience at Voices, Margaret served as the chairwoman of the volunteer board of directors of the Richmond Behavioral Health Authority and on a variety of state commissions related to mental health reform. She was named a 2018 Richmond Times Dispatch Person of the Year honoree and was featured in the December edition of the RTD’s Discover Richmond magazine. Margaret was honored with an Outstanding Woman Award in Law and Government by the YWCA in 2016. In 2012, she was named a recipient of the Stettinius Award from The Community Foundation of Greater Richmond, and she was named to Style Weekly’s “Top 40 Under 40” in 2011. As a result of her advocacy efforts on behalf of children, Margaret was awarded the Joseph V. Gartlan Award, given by the Virginia Association of Community Services Boards. Margaret graduated Phi Beta Kappa from the University of Virginia, with a Bachelor of Arts in religious studies. Chloe Edwards is Voices’ Outreach Coordinator, responsible for connecting local and regional partners and Voices’ policy team. 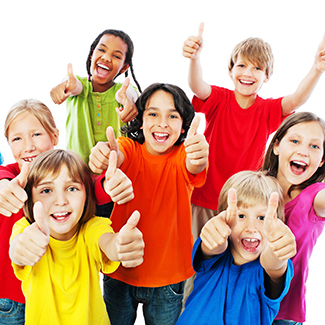 She focuses specifically on trauma-informed policy and practice. Her work is informed by her personal connection to foster care (she entered kinship foster care at age 14) and by her previous job as director of Connecting Hearts, a nonprofit that strives to find permanent, loving homes for every child living in foster care. 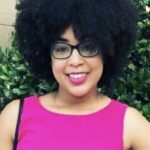 Chloe completed the Minority Research and Law Institute Program at Southern University Law Center and graduated from Hollins University with a Bachelor of Arts in English. Radio One recognized her as one of the top “30 Under 30” trailblazers initiating change in Richmond in 2017, and Connecting Hearts awarded her its Outstanding Service Award in 2018. In her free time, Chloe volunteers as a court appointed special advocate (CASA), spokesperson on the Adopt US Kids Speakers Bureau, and board member of the Henrico Too Smart 2 Start Coalition, a nonprofit that promotes youth health and wellness. 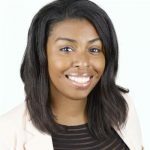 Ashley Everette is Voices’ Policy Analyst for children’s mental health and health and is the coordinator of the Campaign for Children’s Mental Health. Ashley comes to Voices with many years of nonprofit, early childhood development, children’s mental health, and research experience. Most recently, she worked for ChildSavers a nonprofit organization in Richmond, where she developed and implemented a community-based, early childhood mental health consultation program. She has also played an integral role in the Virginia Association for Infant Mental Health and is one of the first infant mental health professionals to be endorsed in the state of Virginia. Ashley is a graduate of Randolph-Macon College and earned her master’s degree in child development from Tufts University. 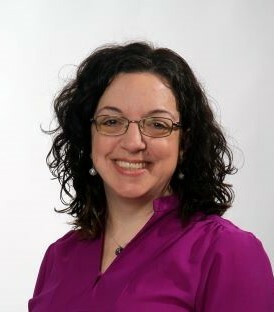 Christina Feerick is the Communications Director for Voices for Virginia’s Children. After nearly 20 years of local television news, her passion for children’s issues prompted her to use her journalism and communications talents to help the underserved across the commonwealth. A native of Charlotte, she graduated from the University of North Carolina at Chapel Hill with a degree in Broadcast Journalism. Previously, she was the main anchor at WRIC-TV ABC 8 and a news reporter at NBC12. Christina’s broadcasting experience includes live coverage of 9-11 at the Pentagon and the D.C. sniper attacks. She enjoys reading, cooking and trying to perfect her green thumb. Christina has two young sons who keep her and her husband busy on the soccer field, at lacrosse tournaments and racing go carts! Christina has spent hundreds of hours volunteering with local and national organizations including The American Cancer Society, The March of Dimes, organizations that prevent Domestic Violence against women, and at her kids’ school. Katie Ferguson joins Voices as the Development Director, leading the major-giving fundraising initiatives from individuals, foundations, and corporations, in an effort to enable Voices to grow. 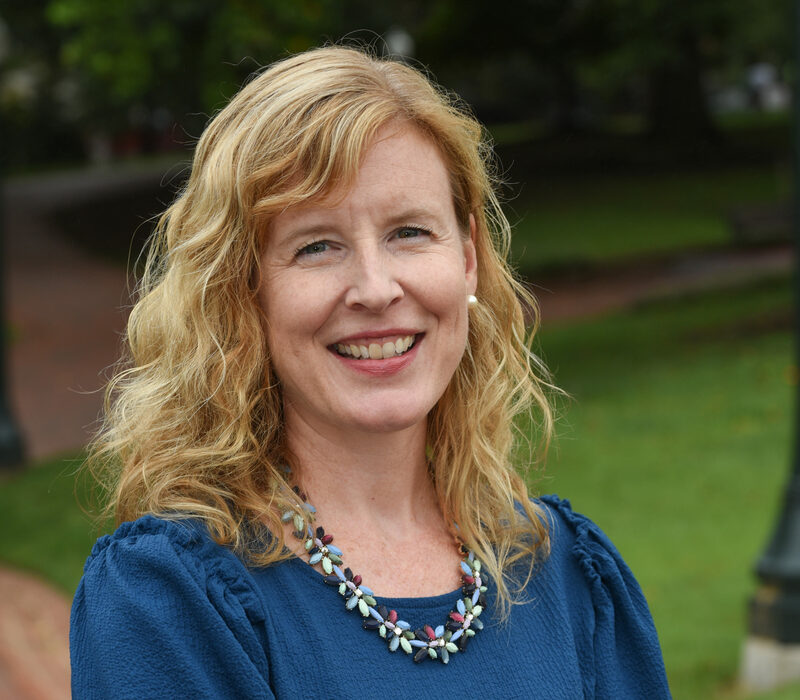 Katie comes with extensive experience in higher education and nonprofit development, most recently from the University of Virginia’s McIntire School of Commerce. Prior to UVA, Katie worked for the international nonprofit, JDRF (type 1 diabetes research foundation) and Cornell University. An original Virginia native, Katie spent over 20 years in upstate New York before relocating with her family back to Richmond in 2014. A graduate of the Culinary Institute of America in Culinary Arts, Katie later went on to study Political Science and Communication Studies at the State University of New York at Oneonta. She recently completed her masters in Strategic Public Relations from Virginia Commonwealth University, and looks forward to using her experience to continue the amazing work that Voices does. In her “spare time” Katie is the mother to three wonderful kids; Natalie, Hunter and Charlotte Rose, and two fur babies; Marley and Sophie. Allison Gilbreath is Voices’ Policy Analyst for foster care and juvenile justice. Allison comes to Voices with several years of experience working on issues related to children and families. She began her career at Prevent Child Abuse Virginia, then moved to the Department of Criminal Justice Services (DCJS), and most recently worked with the lieutenant governor’s office, where she served on the Commonwealth Council for Childhood Success. 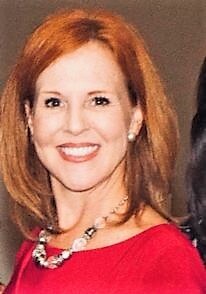 Allison is a CASA (court appointed special advocate) and has been appointed to the CASA/Children’s Justice Act Advisory Board for DCJS. Allison was a governor’s fellow in 2011 and was selected for the 2016 Emerging Leaders Program at University of Virginia’s Sorenson Institute. She has given speeches at the Virginia Child Abuse Prevention Conference, the Virginia statewide CASA conference, and in many other public-speaking forums. Allison received the 2015 RVA Inspiring Woman Award as well as the 2016 David Saunders Legislative Award from the VCU School of Social Work. She serves on the YWCA of Richmond’s Young Woman’s Leadership Alliance. Allison earned her Bachelor of Science and master’s of social work degree from Virginia Commonwealth University. Emily Griffey is Voices’ Policy Director, leading Voices’ policy team and tackling cross-cutting issues, such as economic opportunity and racial disparities. Emily’s policy focus is on early childhood education. She convenes the Early Childhood Policy Network and leads the development of the Unified Policy Agenda. Emily comes to Voices with experience in working on early childhood issues at a local and regional level for Greater Richmond’s Smart Beginnings, Richmond City Social Services, and Baltimore’s Safe and Sound Campaign. Emily is a graduate of the Jepson School of Leadership Studies at the University of Richmond and earned her master’s degree in public policy at Johns Hopkins University. Emily is mom to Andy and Allison and serves on the Family Advisory Committee for the Children’s Hospital of Richmond. Nikkia Johnson is Voices’ Development Manager, responsible for assisting the director of development in the implementation of the annual development plan, maintaining current donor database systems, managing development activity, and providing support for fundraising events. Nikkia graduated from Virginia Commonwealth University with a Bachelor of Science in sociology. Nikkia has a long background of interning at several Richmond nonprofit organizations, such as The Podium Foundation and ART 180, as well as working with youth and teens. She currently serves on ART 180’s programming committee and as vice president on her sorority’s executive board. Among her numerous hobbies and volunteer services are teaching dance, mentoring middle schools students, and traveling. Mary Beth Salomone Testa is Voices’ consultant in Northern Virginia. 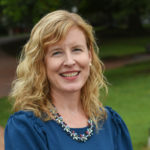 Mary Beth became a part of the Voices team in 2014 to connect the organization’s work with agencies, programs, and advocates in the Northern Virginia localities. Mary Beth advocates for smart policies and investments for child and family well-being; to ensure policy makers are considering the whole child and family; and encouraging advocates to tell the stories behind the data. Mary Beth works with Trauma-Informed Community Networks in the Northern region, as well as advisory councils, work groups, and coalitions of providers and families. 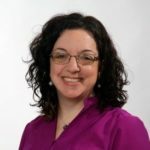 Mary Beth brings nearly 20 years of experience in advocacy and policy development, with expertise in connecting policy and practice. Mary Beth graduated from American University in Washington, DC and lives in Fairfax County.